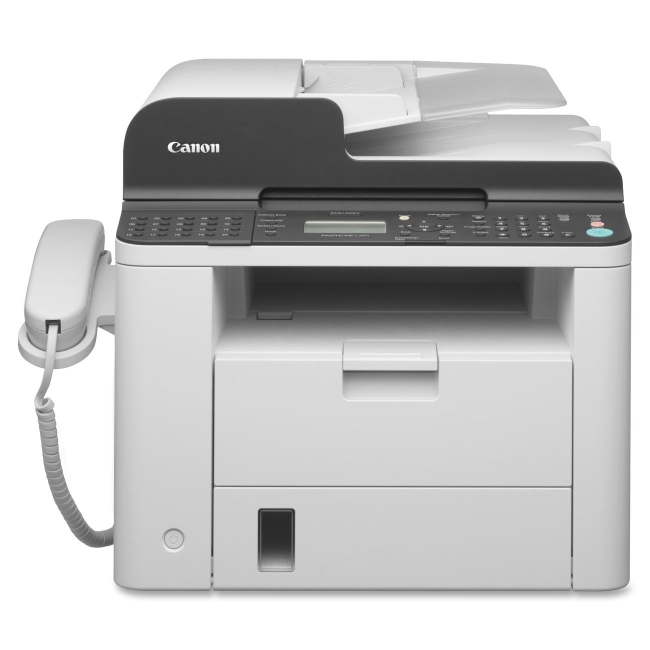 A4 - 8.30" x 11.70"Letter - 8.50" x 11"3.40" x 5.50"4" x 6"5" x 7"Banner - 8.50" x 52"Com 9 Envelope - 3.80" x 8.80"Com10 Envelope - 4.80" x 9.50"C5 Envelope - 3.37" x 9"C6 Envelope - 4.50" x 6.37"DL Envelope - 4.30" x 8.60"Monarch EnvelopeCustom SizeLegal - 8.50" x 14"Executive - 10.50" x 7.25"Statement - 8.50" x 5.50"A5 - 5.80" x 8.30"A6 - 4.10" x 5.80"B5 - 6.90" x 9.80"
Between the MB492 and MB562w from OKI®, you can have all the productivity features you want - including wireless LAN. 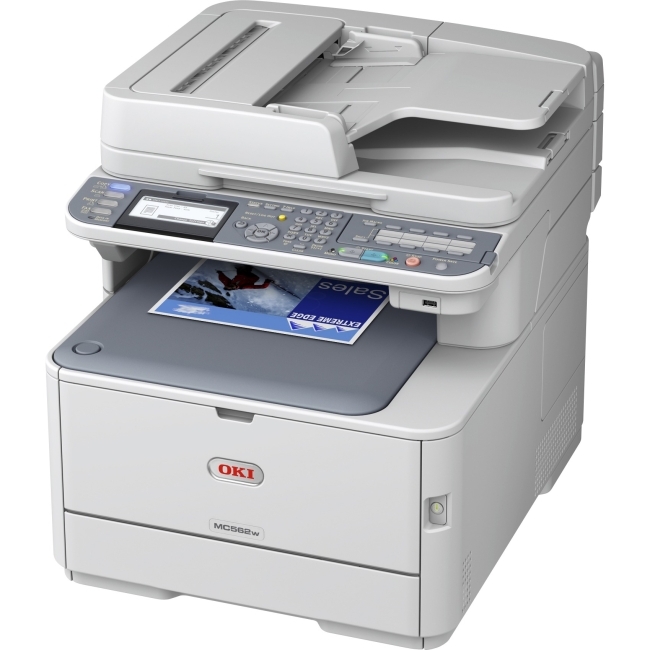 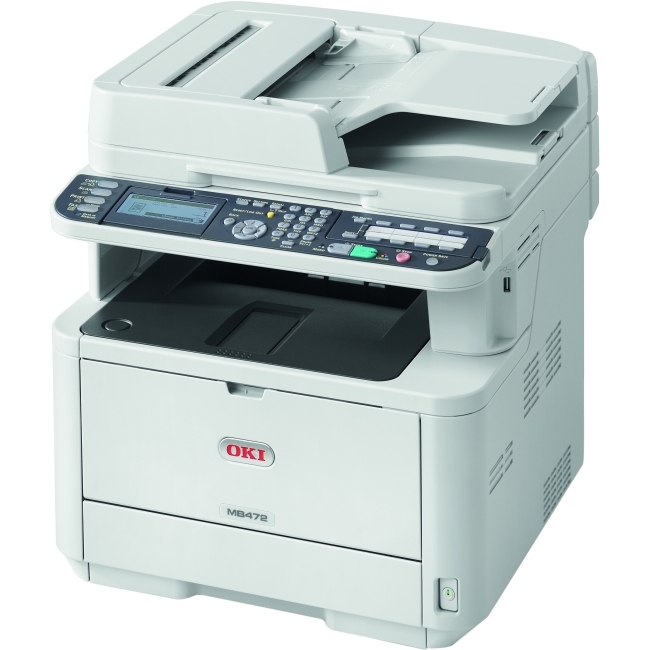 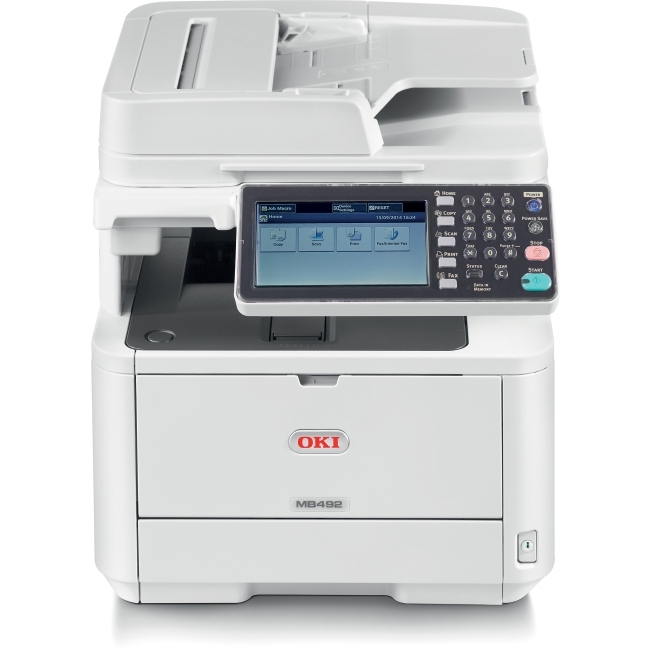 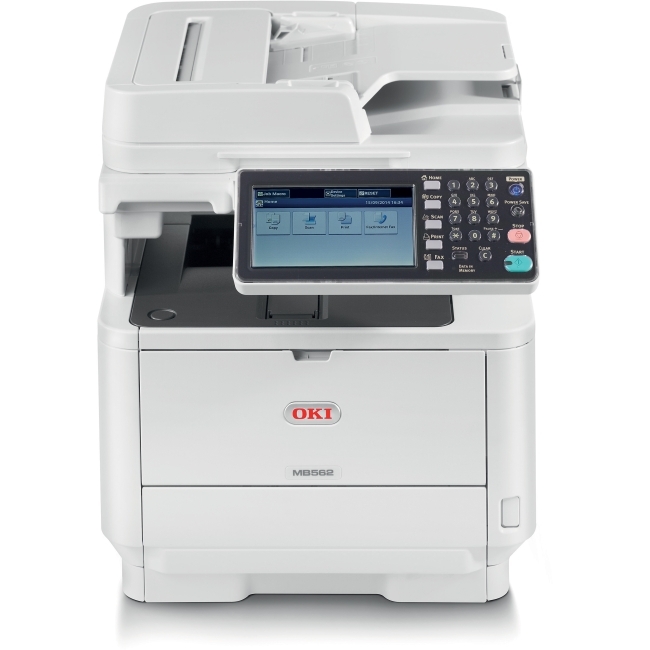 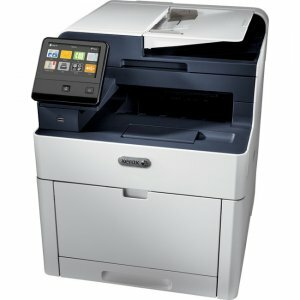 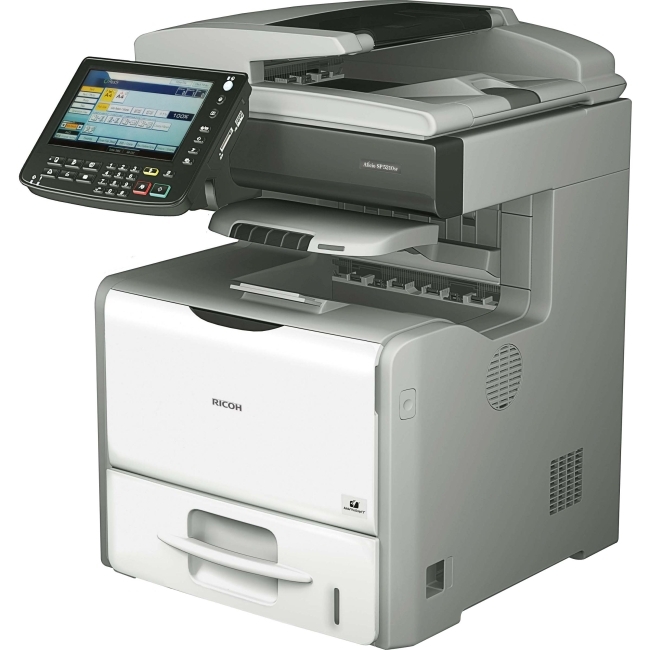 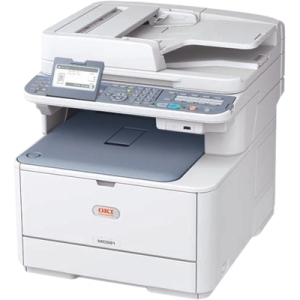 Everything the small business or small workgroup requires - The MB492 and MB562w MFPs from OKI combine black & white printing and copying, color/mono scanning with scan-to capabilities, and analog faxing. 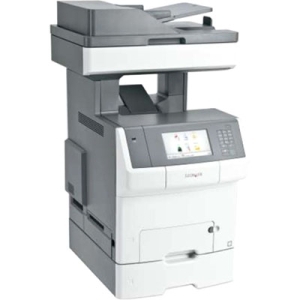 These affordable, compact, networked MFPs let you produce professional-looking documents-with productivity-boosting speeds and budget-enhancing efficiency. 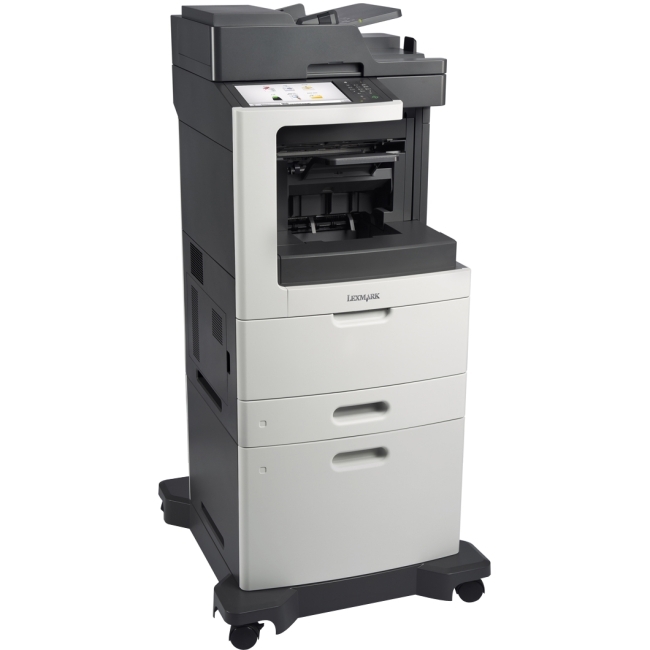 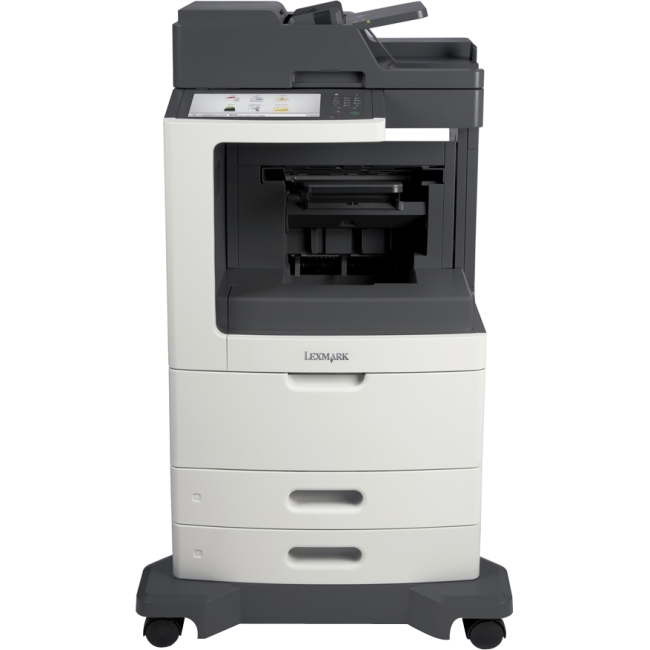 The MB562w delivers up to 47 prints or copies per minute, and the MB492 turns out up to 42 ppm/cpm-both with a time-to-first-page as fast as 5 seconds.